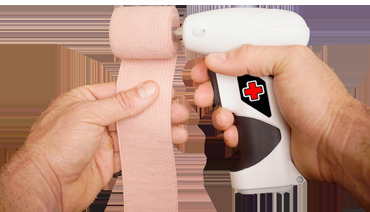 Are you tired of having to roll bandages every day by hand? If so, then the Wrap Wrench is the product for you! Great for medical practices, gyms, athletic trainers, and home health care providers, the Wrap wrench helps professionally roll up sport and medical wraps with little to no effort in just a fraction of the time. 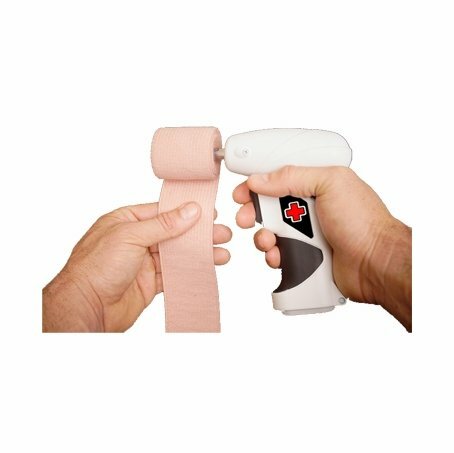 The Wrap Wrench uses 4-AA batteries and is capable of wrapping hundreds of bandages per hour! Small and compact, it fits easily in a kit or bag. High torque, 200 RPM motor. Patented custom bit makes rolling a snap! When can I get this product. This item is finally back in stock. This item is now back in stock.